One of the biggest Jamaican Dancehall artists is coming to Perth January 20th. Come to each Sunday Jam before 7pm to have a chance to win 2 tickets for the concert. This year we sold out Charly Black concert, You know when it is a CIC event there is no disappointment. 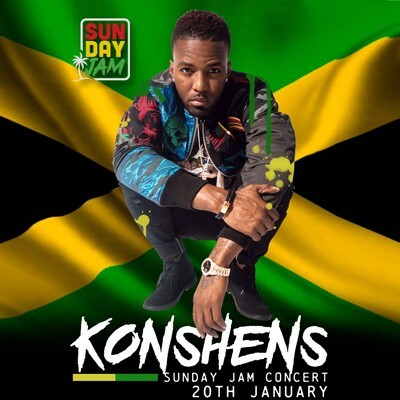 Award winning Jamaican reggae dancehall superstar KONSHENS will come to Australia for the first time ever in January 2019! His hits have included "Winner", "Rasta Impostor", "This Means Money", "Good Girl Gone Bad", and "Bruk Off" featuring Chris Brown to name a few. Tickets are on sale Monday 5th!